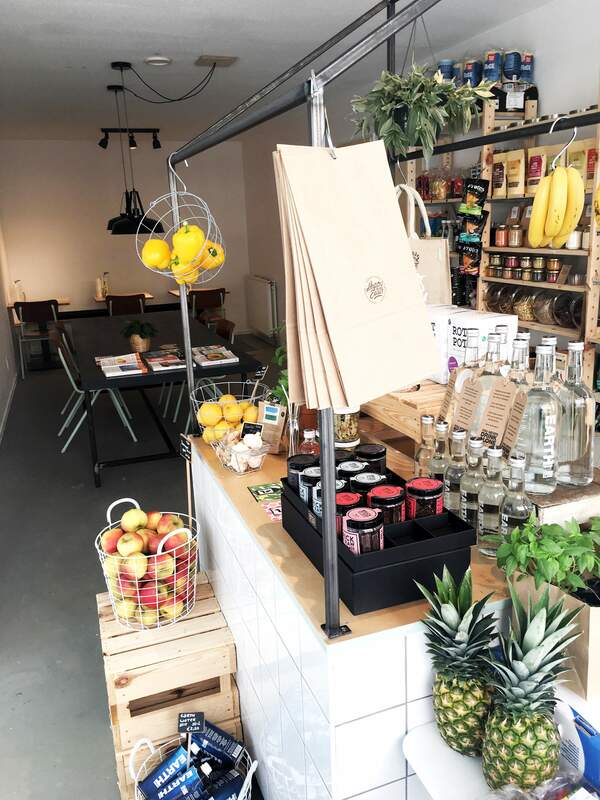 Another hot spot has opened its doors, this time located in Rotterdam (North), which happens to be one of my favourite cities in the Netherlands. 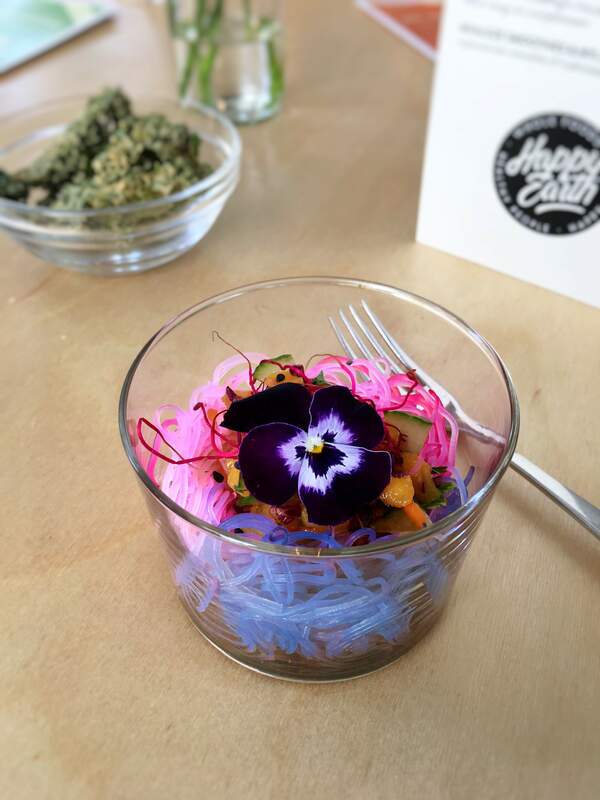 Happy Earth is a new and health conscious food spot, where you can get your whole food fix. 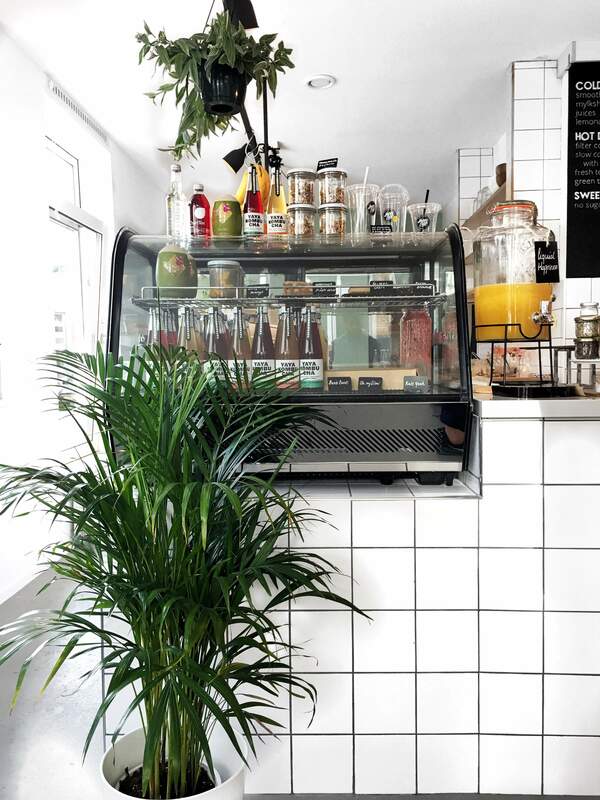 Not only does Yonca (the owner) serve some of the most delicious plant-based meals but she also offers a variety of vegan foods in her little store. 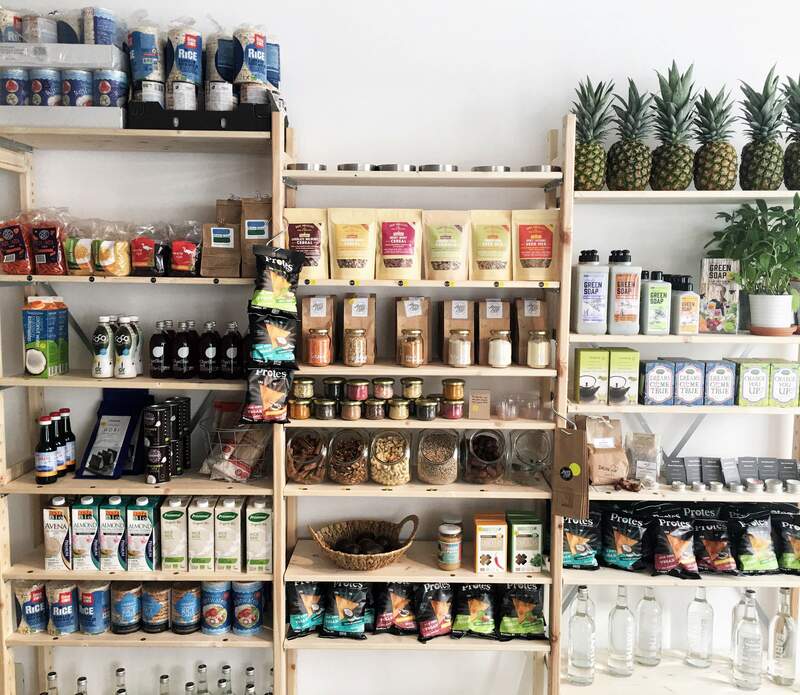 So you get a mini plant-based grocery store and cafe all in one! 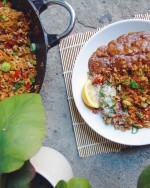 Which started out as a blog turned into something really gorgeous! One thing I’ve always noticed when following Yonca’s blog and Instagram account is that she has an eye for detail. Her eye for detail combined with the philosophy of sharing whole, sustainable foods has manifested into a store of exquisite quality. 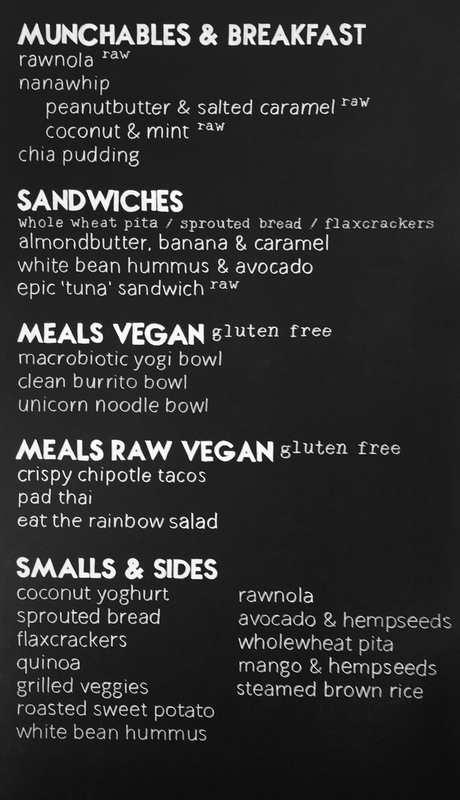 Besides the menu items there are plenty of treats to pick up while you’re visiting the store like, raw vegan cakes, heathy protein chips with a side of yaya kombucha, which has been one of the most delicious kombucha’s I’ve ever tasted, just saying. You could also simple pop by for some fruits and granola, the options are plentiful. Yonca, whom I had the pleasure to get to know a couple of months back, is a woman with a pure heart, and this translates into her store. 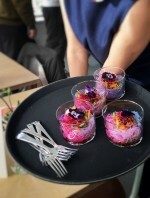 She aims on sharing healthy vegan food, but don’t get it twisted, we’re not talking about only salads and smoothies, her menu has a variety of interesting and unique items, from raw vegan tuna salad to unicorn noodles bowls. Oh yes! Yonca serves unicorn realness with the unicorn noodles on her menu! Looking at the menu I’m already looking forward to my next visit, which will be soon because I can’t get enough of this beautiful store, and it’s owner Yonca! 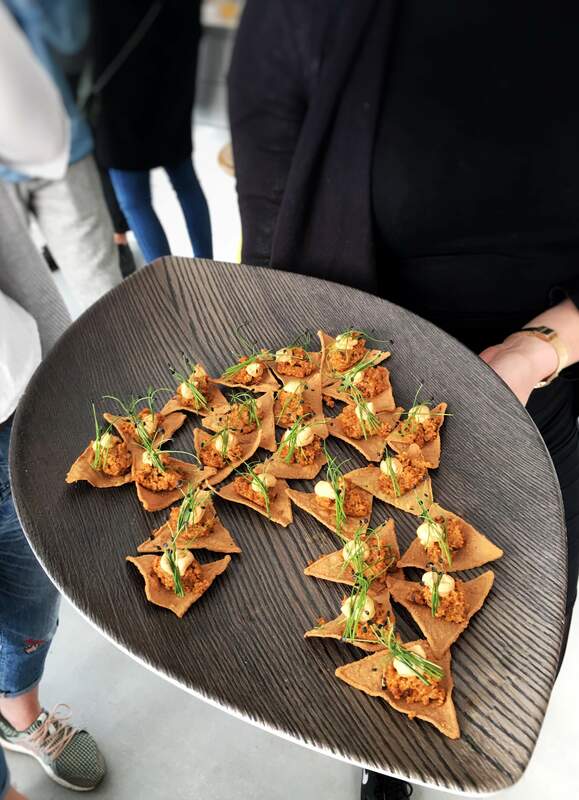 Happy Earth is more than just another vegan hot spot, it focusses not only on sharing delicious healthy dishes, but also on the environment and sustainability. This through offering fair trade items and high quality foods. 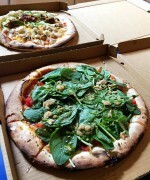 I find that for such a healthy conscious concept there is no compromise in taste or presentation. Each and every thing I got to try was beautifully delicious! Now if you ever find yourself in Rotterdam you know where to go! They’re open from Wednesday till Sunday. feel free to let me know in the comments below. And of you’d like you can follow me on Instagram or like my Facebook page.